2 YRS Guangzhou Teng Feng Machinery Co., Ltd.
2. Driven by the main motor, the gear is driven by belt drive, and the roller is directed to rotate. If container is too tigher,we will use pe film for packing or pack it according to customers special request. If machine is big, we will fix the machine inside container with steel wires and nails. 1 YRS Laizhou Wankai Machinery Co., Ltd.
We are owning modern Nano Laboratory and could help clients do test running before model selection and pirchasing, generate lab report and guide your actual production. We could send technicians to your factory to help you install the machine, train your workers to operate and help with the debugging. 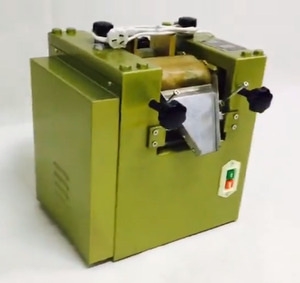 With own modern Nano Laboratory and manufacturing factory, ELE could provide clients with the most suitable solution for complete wet gridning production mills. 6 YRS Shanghai Cisun New Energy Equipment & Technology Co., Ltd. 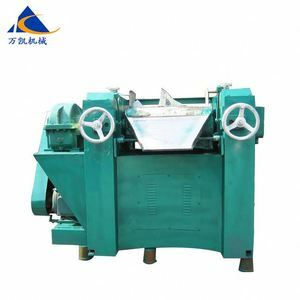 Declaration :Choosing three roll mill machine, please recognize Longxin and Huabao brand of Longxin Machinery. 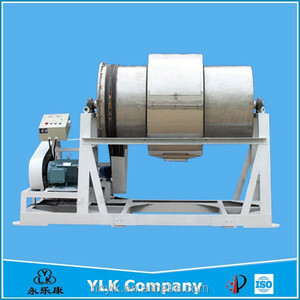 World class three roller mill :We provide customers with all types of three roller mills,commen type,advanced type,hydraulic type,and CNC type. is a leading manufacturer and trader specialized in research and production of Three Roller mill, Bead mill,Sand mill, Sigma mixers, Planetary mixer, Reactors , etc. 14 YRS Shanghai Sower Mechanical & Electrical Equipment Co., Ltd.
Three roll mill. Three roller mills. 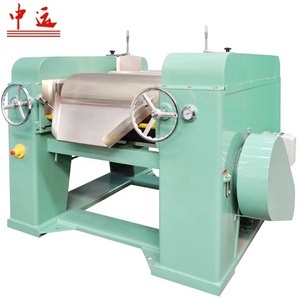 4.The roller is made of special alloy with high intensity. The dynamic and still millstones in the core part and mechanical seal parts are the most key parts. Therefore, according to the different natures of the materials, the selection must be different. Third, the surface is easy to wear, and after wearing, the refined results will be significantly reduced. 2 YRS Shenzhen ZYE Science & Technology Co., Ltd.
4 YRS Leimix Group (Guangdong) Co., Ltd. 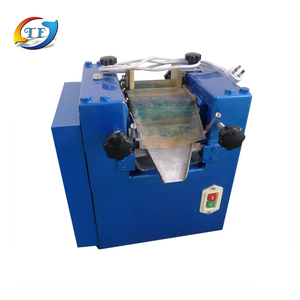 The triple-roller mill is mainly used in paint, printing ink, pigments, plastic, etc. , especially milling and dispersing products with high viscosity and small granularity. Due to mutual squeesing of three horizontal alloy drums and friction with different velocity, great milling effect can be realized. 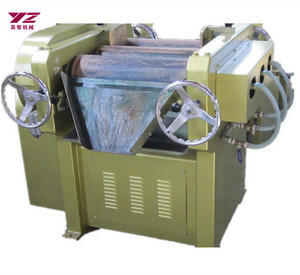 7 YRS Wuxi Zhitong Yuanfeng Technology Co., Ltd.
1 YRS Anhui Root Industrial Co., Ltd.
high viscosity pigment grinding Three roller mill machine Description This machine applies to product with high viscosity or paste which is poor mobility and need high fineness requirement, After our constantly improve and optimize, EL developed EGW series three rollor mill with unique performance in production. Rollor is made of hard wearing alloy, the rollor is driven by motor, three rollers have three working position under working. 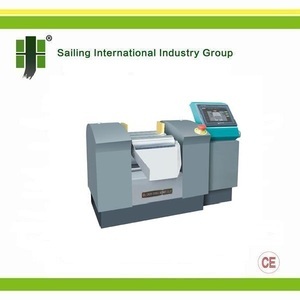 As a professional manufacturer , we 'd like to provide you with high-quality machines and excellent aftersale servive . Our Service 1.When can I get the price9 We usually quote within 24 hours after we get your inquiry. 3.Do I have to assemble the machine after receiving it9 No, our machine is assembled before delivery. When you get it, start the machine according to the manual book. It is specially applied in polishing thematerials with dispersitivity, high viscosity, and fineness. 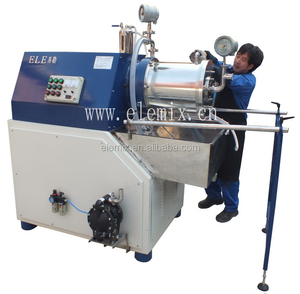 The machine effects in polishing through extruding and wearing in three rolls. free from being affected by acid, alkali and corrosion, not reacting chemically with processing material, not polluting raw materials, enabling processing materials to reach ideal fineness. Alibaba.com offers 256 ointment mill products. About 68% of these are grinding equipment, 1% are mine mill, and 1% are flour mill. A wide variety of ointment mill options are available to you, such as free samples. There are 256 ointment mill suppliers, mainly located in Asia. The top supplying country is China (Mainland), which supply 100% of ointment mill respectively. Ointment mill products are most popular in Domestic Market, Southeast Asia, and North America. You can ensure product safety by selecting from certified suppliers, including 66 with ISO9001, 9 with Other, and 5 with GMP certification.